F.R.E.D.I. (2018) – What's New on Netflix Canada Today! A teenager makes the discovery of a lifetime in the forest behind his Arkansas home, a friendly robot named F.R.E.D.I. (voiced by Candace Cameron Bure). Join James (Lucius Hoyos), Danny (Reid Miller) and Natalie (Casimere Jollette) as they come together to help F.R.E.D.I. find her way back to her creator Dr. Palmer (Kelly Hu) and evade an evil corporate villain (Angus Macfayden). 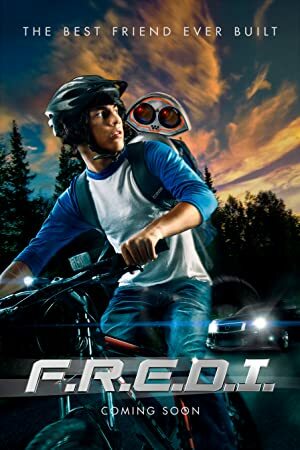 Venturing into the woods, high schooler James discovers an intelligent robot that he must save from the hands of a businessman with an evil scheme.